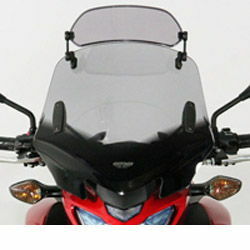 The V-Flow screen is supplied with a complete fitting kit suitable for your bike and has been specially designed to compliment the style of modern unfaired bikes. 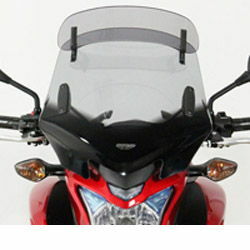 This windshield allows more room for potruding instruments, clocks or cowls at its base and offers exceptionally good protection without generating annoying wind noise or turbulence. 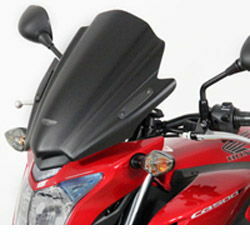 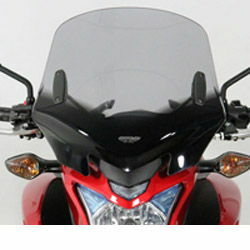 Width (at widest point) 400mm/15.75"
!60344, 60341, windshields, wind, shields, windscreen, motorcycle, motorbike, sportsbike, vision, vario, touring, screens, vario-screens, vario-shields, gray, grey, tinted, smoked, ecran, vent, pare-brise, 13, 14, 15, 2013, 2014, 2015!